Studies indicate that many of the nutrients found in various foods can play key roles in maintaining your heart health. A great way to incorporate these healthy ingredients into your daily life is through nutritious snacks. WebMD put together a list of the 25 top heart-healthy foods. To incorporate these nutritious ingredients into your day-to-day life, we’ve come up with some simple snacks you can enjoy at home or take with your on the go. Ellagic acid, which is found in berries, offers antioxidants that protect blood vessels, lower blood pressure and reduce bad cholesterol, explains WebMD. Isoflavones in soy milk are reported to have similar properties, and ground flaxseeds are believed to lower the risk of blood clots, stroke and cardiac arrhythmias. 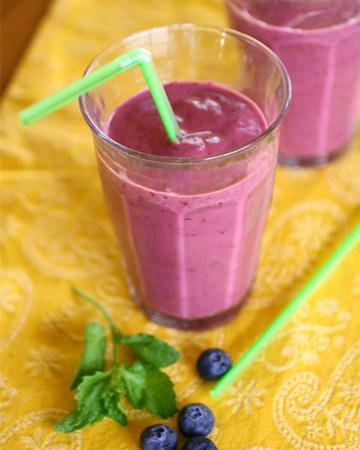 Such incredible nutrients make this the ultimate heart-healthy smoothie. Place the fruit in the blender, and pulse until the fruit is broken down. Add in the yogourt, milk and ground flaxseeds, and blend until fully combined. WebMD reports that both almonds and walnuts have heart-favourable mono- and polyunsaturated fats as well as phytosterols, which seem to reduce blood cholesterol. Dark chocolate has flavonoids, which protect blood vessels, lower blood pressure and reduce “bad” cholesterol. So you’re doing your heart a favour when you reach for a handful of this crunchy trail mix. Place all the ingredients in a large zip-lock bag or resealable container, and shake to combine. Place in small snack bags to enjoy on the go, or enjoy a handful at your leisure at home. Many vegetables and fruits are loaded with heart-healthy vitamins and minerals. But if you’re having trouble working more veggies into your diet, creamy hummus makes it a lot easier. This particular trio of vegetables is particularly powerful where heart health is concerned, according to WebMD. Red bell peppers offer B-complex vitamins, which protect against blood clots and hardening of the arteries. Broccoli is rich in vitamins C and E, which protect cells from free radical damage. And carrots are loaded with carotenoids, which are heart-protective antioxidants. Plus, all three have plenty of fibre, which helps lower cholesterol levels. Place hummus in a small resealable container and veggies in a bag to take this healthy snack with you on the go. Or keep prepared veggies and hummus in the fridge to enjoy as needed. What heart-healthy snacks will you prepare this week? Let us know in the comment section below!